Emma Palmer & Liam Mandino, are an engaged couple who are experiencing anxiety over the fact that everyone in their family has either been divorced or exampled unhealthy relationships. Will they repeat the same pattern? How do they know what a healthy relationship is suppose to look like? Liam's grandmother takes Emma and Liam aside and teaches them how to empower their relationship in ways they've never heard before. Each powerful secret Nonna unpacks connects them emotionally, and helps them show up more powerful than the lesson before. With a surprising mixture of fiction and non-fiction, this little book reveals 5 powerful secrets that are said to be the BEST and BOLDEST principles shared since the movie Fire Proof! This book started a movement. 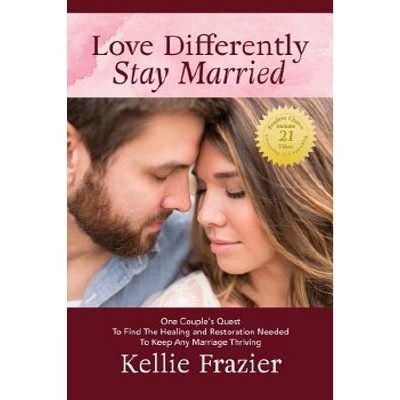 With free PDF, AUDIO & VIDEOS to learn from, you can know all 5 secrets to loving differently in order to stay married.